Pro Dive Mexico PADI Career Development Center: Pro Dive Mexico FIRST & ONLY PADI CDC in Mexico! Pro Dive Mexico FIRST & ONLY PADI CDC in Mexico! Pro Dive Mexico would like to thank everyone involved in achieving the highest PADI rating possible for a 5 star IDC center. Last week our PADI 5-STAR IDC facility in Catalonia Playa Maroma was rated officially by PADI to a 5-STAR PADI Career Development Center. Special thanks to our Course Director Anders Heegaard and staff for achieving this rating. With this rating Pro Dive Mexico has been recognized by PADI for it's excellent work and having the highest quality level of training and instructor development in the Caribbean. We also believe that we received this rating as we have offered not only courses, but also professional scuba careers within our Company and several other positions within one of our many resort based dive centers in Mexico! 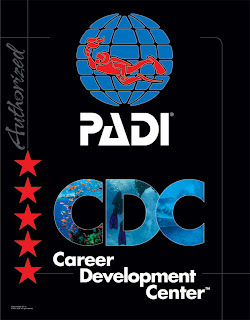 We are the first & only PADI Career Development Center in Mexico! "We are so excited about this new PADI rating, as I know how hard everyone worked during the last years. I also believe that Mexico and its dive industry will greatly benefit by this quality rating as it gives extra value to all future students, wanting to become a dive professional in our country. Besides offering cenotes, caverns, cozumel marine park, mayab ruins and culture and a splendid nightlife, our area now also has it's own PADI Career Development Center. What a great combination! Once again thank you all for your dedication and hard work. There are more than 15 Instructor Development Centers (IDCs) in Mexico, but only 1 (one) have been awarded the prestigious Career Development Center (CDC) rating. Pro Dive Mexico is the one of only 3 CDC in Latin/Central and South America. 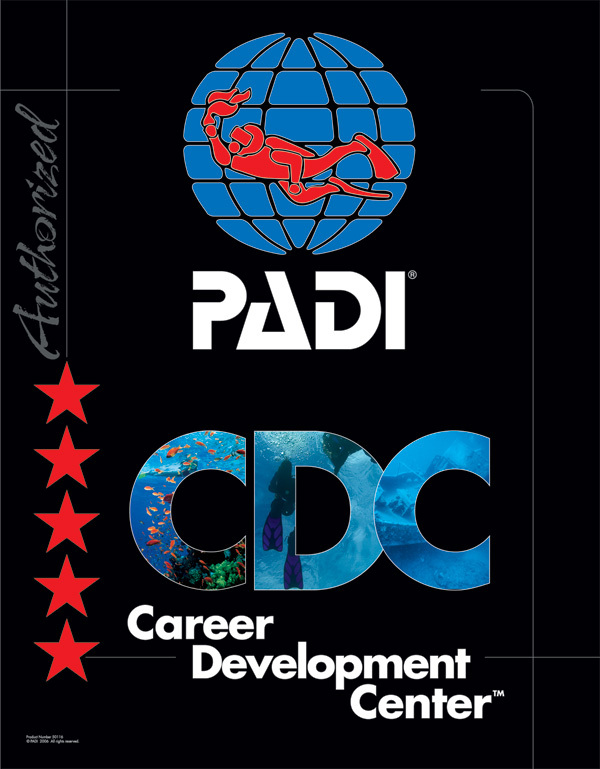 The PADI CDC award recognizes progressive and professional 5 Star IDCs who have committed resources to dive industry career training. The philosophy of PADI's CDC award is that divers, PADI members and the dive industry at large benefit from the PADI 5 Star CDC’s commitment to professional development and excellence. Career oriented scuba instructors entering today’s dive industry seeking employment need knowledge and skills beyond the ability to teach diving. Pro Dive Mexico CDC meets this need. PADI CDCs provide programs that address professional training beyond the instructor development process. I love to enjoy diving. PADI is what I feel best PADI Scuba Lesson is what I am subscribed with. September 2010 MSDT Preparation a success! !